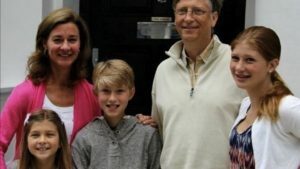 The physician who served as Bill Gates’ private doctor in Seattle in the 1990s says the Microsoft founder and vaccine proponent “refused to vaccinate his own children” when they were young. This entry was posted in Bill & Melinda Gates, Pregnancy and birth, Vaccine Injection Room and tagged Bill Gates on February 11, 2018 by Editor. This entry was posted in Personal Stories Vaccine Injuries, POLIO, Pregnancy and birth, Vaccine Injection Room and tagged Bill Gates, POLIO on November 28, 2013 by Editor. 48,000 Children in India Paralyzed by Bill Gates’ Polio Vaccine; 50,000 Afrikans injured by meningitis vaccine. This entry was posted in Articles & Breaking News, Eugenocide/Population Control, Government experimentation on the public, POLIO, Vaccine Injection Room and tagged Bill Gates, Meningitis, POLIO on March 26, 2013 by Editor.